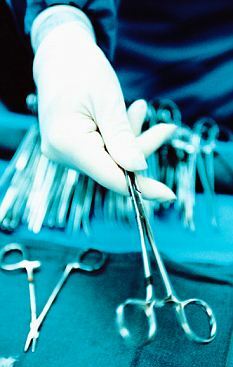 Doctors Left Forceps Inside Woman’s Stomach While Surgery !! Horrific X-RAY Picture !! As we all seen in Kamal Haasan’s comedy drama film Pammal K Sammantham where the latter would suffer due to Stomach pain and discover that it is left by Simran, a Doctor, during one of his surgery. A Similar act took place in Hyderabad where a woman suffering from the same problem. 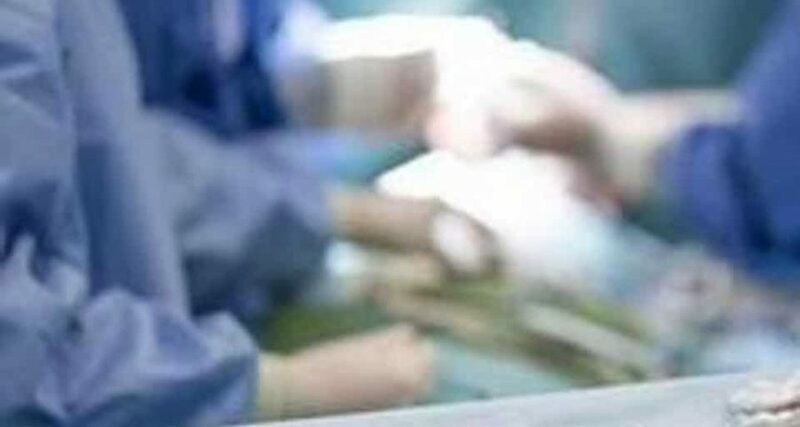 A woman in Hyderabad went through excruciating pain for three months before an x-ray revealed a pair of surgical forceps in her abdomen that doctors forgot to remove after a surgery in November. The patient, a 33-year-old woman, had undergone surgery at the city’s prestigious Nizam’s Institute of Medical Sciences three months ago. Soon after she was discharged, the woman complained of persistent abdominal pain. The mistake came to light when the patient of Mangalhat area in Hyderabad, returned to the same hospital — Nizam’s Institute of Medical Sciences (NIMS), a prestigious state-run hospital in Hyderabad, on Friday with severe stomach pain. The woman identified as Maheshwari Choudary of Mangalhat underwent an operation on November 2 at Nizam’s Institute of Medical Sciences (NIMS) in Hyderabad on November 2. After making a good recovery, she was discharged on November 12. Ms. Choudary was frequently complaining of severe stomach and abdominal pain. An X-ray of her abdomen revealed that a pair of artery forceps (a scissors-like instrument used by surgeons to remove tissues and hold internal parts during surgery), was firmly embedded in her stomach. Accusing the doctors of their criminal negligence in conducting surgeries, relatives of the patient on Saturday staged a dharna in front of the hospital and demanded action against the surgeons who botched up the surgery. The doctors pacified them saying they would conduct another surgery by evening to remove the instrument from the abdomen. They ensured that they would take care of Maheshwari’s health. Director of NIMS Dr K Manohar said Maheswari had been admitted to the hospital with severe abdominal pain on October 28 and had undergone a surgery for hernia in the first week of November. She was discharged on November 12. Mahadev, a close relative of the patient told media that a few days after returning home, Maheshwari started feeling pain in the abdomen. She continued taking medicines for pain, as suggested by doctors, but it intensified in the last few days. So, she came back to NIMS for further check-up, where it was revealed that the medical instrument embedded in her abdomen. “She was complaining of stomach ache within days of surgery at NIMS. We tried different kinds of medicines but her condition did not improve. This is totally negligent on the part of surgeons because of which she had to suffer,” said Mahadev. Dr Manohar said an enquiry had been ordered into the episode. “According to preliminary investigation, three doctors – Beerappa, Venu and Varma participated in the surgery. We have constituted an internal committee to probe the issue and action would be initiated against them after due inquiry process,” he said. Previous articleThis Double Standard From This Tamil Producer Thrashed By Online Users !! Check Out !! Next articleVideo Of Ajith Kumar Denying Photos To Fans Goes Viral !! MUST WATCH ! !